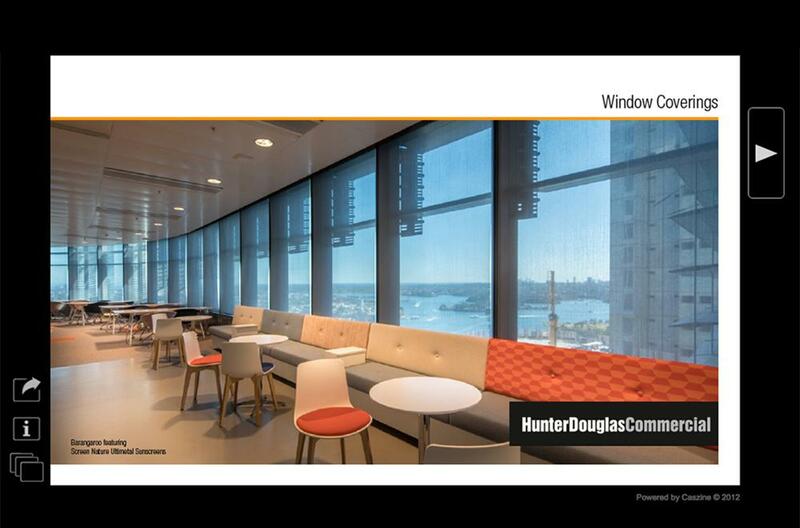 Hunter Douglas, the world market leader of quality window coverings, has celebrated its 60th year in Australia. 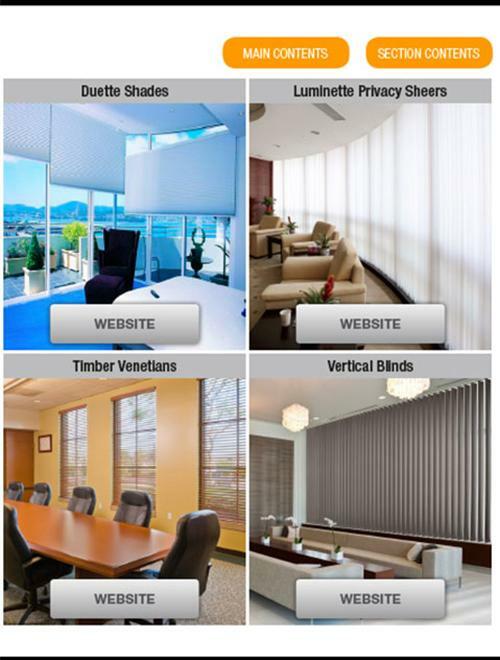 With a proven reputation for delivering innovative internal and external shading solutions, fabrics and components that are technically superior and aesthetically unique, Hunter Douglas is at the forefront of technology and innovation. 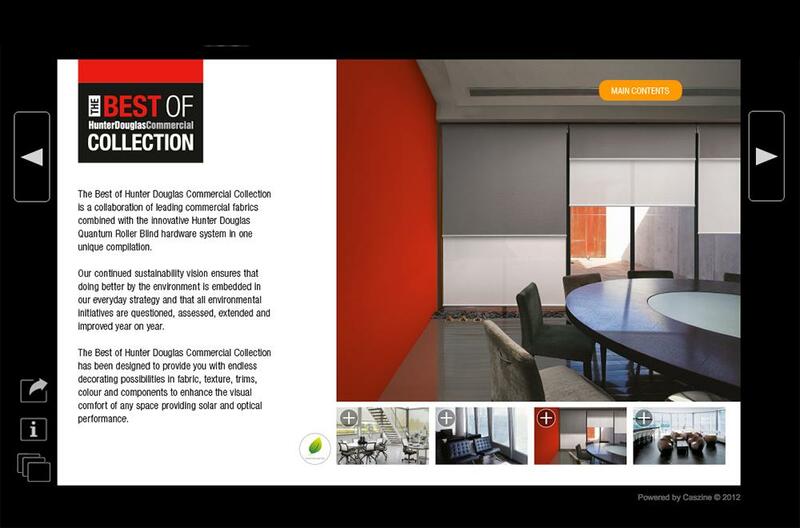 Hunter Douglas asked us to use our CASzine Interactive Digital Publishing platform to produce a substantial (100pp+) digital catalogue of their Commercial products. 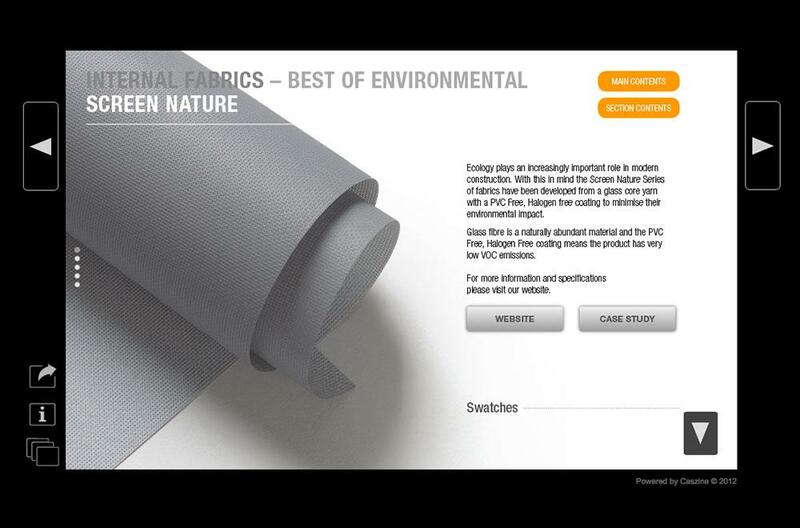 The navigation is distinctively catalogue-style with quick jump-links between section and products. 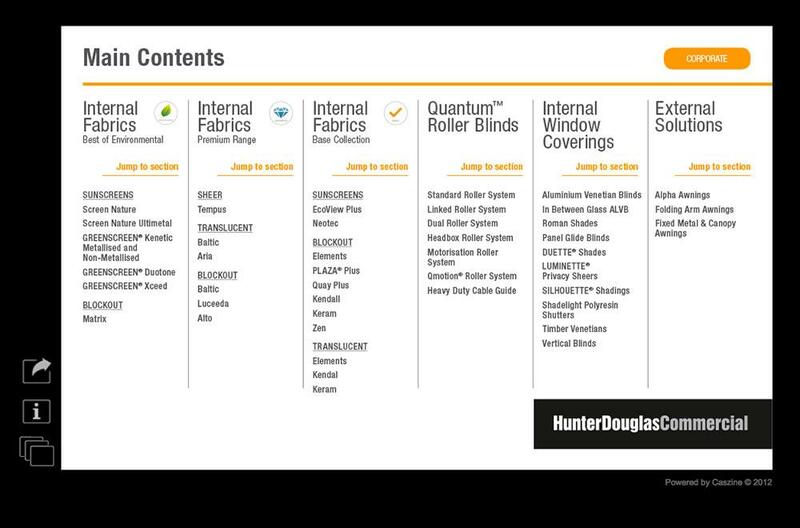 The extensive analytics allow Hunter Douglas to determine which products are most popular through time spent and visits recorded, including return visits.